Family-run Buttermilk has been producing artisan confectionary in Cornwall for more than 50 years. The original Buttermilk shop, in Padstow, was owned by friends, Elsie and Betty, who’d been making and selling fudge there since the early sixties. Since then, the shop’s changed hands and the business has grown into an award-winning producer of handmade Cornish confectionary. Its current owners, David Goad and Tracy McDonnell-Goad, bought the business from David’s parents in 2010. 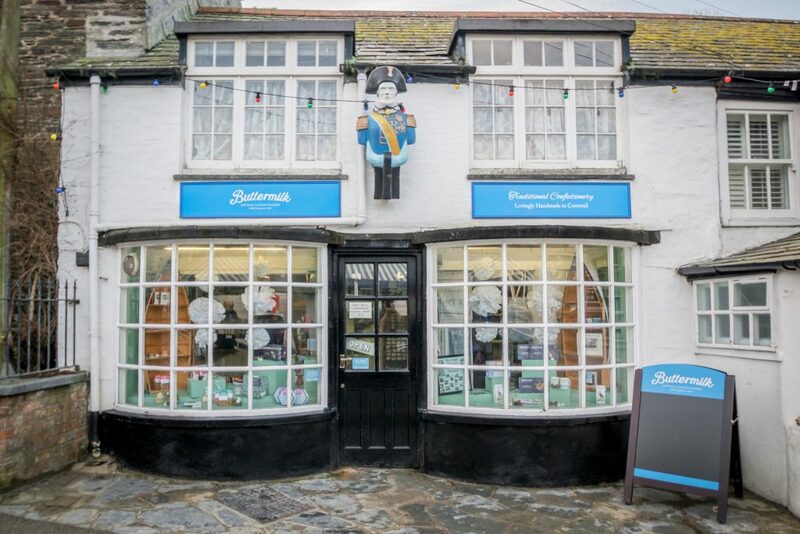 Now supplying fudge and other sweet treats nationwide, Buttermilk boasts two stores of its own: the original in Padstow remains, along with a second shop in Port Issac, made famous by its regular appearances on ITV1’s ‘Doc Martin’. The Port Issac shop partnered with Treleavens in 2017, and serves seven different flavours of ice cream – all of which have proved popular with customers. “Buttermilk fudge is a high quality producer, so it’s important to partner with other creators of high quality products in our shops,” says Buttermilk’s marketing director, Olivia Hope-Hawkins. Supporting Cornish businesses is integral to Buttermilk’s ethos. Buttermilk, like Treleavens, uses Trewithen Dairy as a source of cream for its fudge. “Wherever possible we try to use local ingredients, so it’s important to us that Treleavens produces its high quality ice cream from right in the heart of Cornwall,” says Olivia.